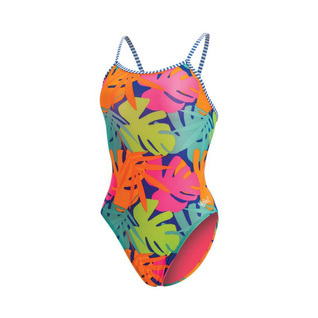 Get a new outlook on your swim season with this beautifully designed swimwear from Dolfin. The Uglies TROPIC TIME Double Strap Back Female is absolutely gorgeous. Functionality as well as beauty blend well together, just like its design, in this durable training swimsuit.